Posted March 20th, 2019 by TheBuzz & filed under News from our Advertisers. The Brighton Recreation Center is keeping up with the Joneses! It’s now taking its fitness classes to a new level; offering both virtual fitness classes and jumping into a new water fitness craze! 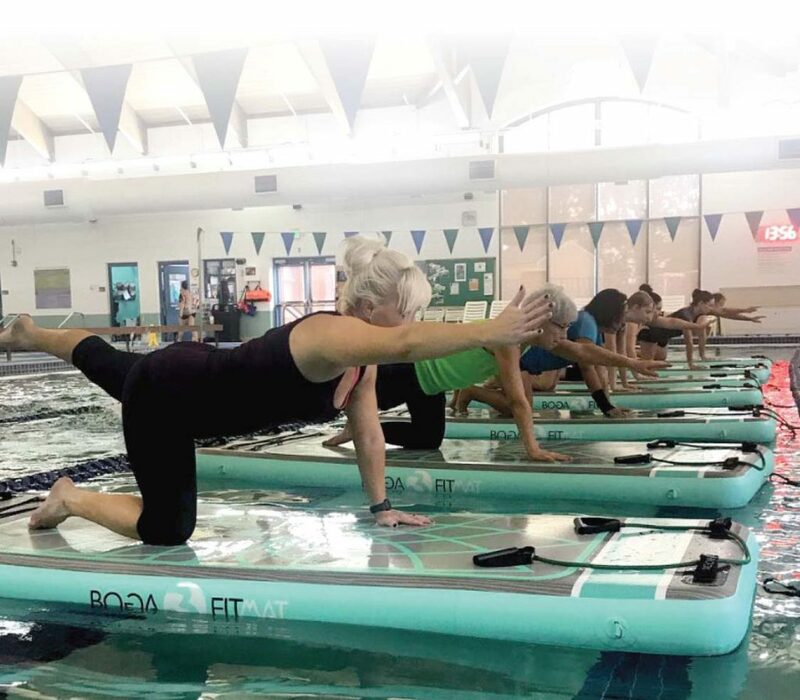 BOGAFit is an innovative fitness program that uses a fitness board on the water to build strength, deepen flexibility, and improve balance and coordination. This exercise enhances the benefits of traditional fitness movement while eliminating the harsh impacts of these exercises, creating high-intensity workouts on the water with a low impact on your body. It also helps work your core muscles to increase balance. Meaux went on to say that paddleboard yoga’s popularity in states near water is on the rise and bringing this type of exercise to not only landlocked Colorado but Brighton specifically was a joint effort between her department and the city’s aquatics department. “We wanted to make sure our fitness department was one of the first rec centers in the state to offer indoor paddleboard fitness classes year-round,” Meaux said. If water exercise is not for you, don’t worry. 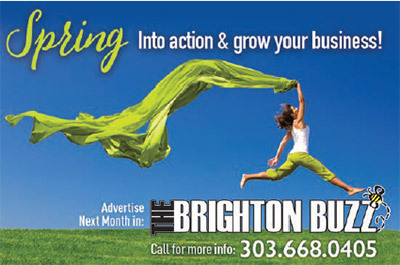 The Brighton Recreation Center also has a different program that’s helping you achieve your fitness goal for 2019. Virtual fitness classes offer members a chance to get the experience of a group fitness class any time a regular instructor-led group fitness class is not scheduled. These virtual group fitness classes were designed to give residents a chance to work out when it is most convenient for them, instead of trying to rearrange their schedule to make it to a class at the Brighton Recreation Center. Users can select from a wide range of classes from Sha’bam, to Flow and even a high intensity, interval training (HIIT) class called GRIT. The class times vary from 30-60 minutes to meet everyone’s needs. This virtual fitness program option is available in both the fitness studio and cycling studio of the Brighton Recreation Center. Both of these new features are included with daily admission. There is no pre-registration required for the class, but space is limited. Due to the small class sizes for BOGAFit, users can pick up a ticket from the front desk as early as 30 minutes prior to the start time of each class to confirm their spot. All virtual fitness classes are limited to the capacity of our fitness and cycle studios.